Hey Chula Vista, looking for Storage Units? Give Big Box Storage a try! Welcome back to another Big Box Storage Blog. This week we are focused on Chula Vista and storage units. That’s right we service all of San Diego County including Chula Vista, and if you are in the need for a storage unit you should give Big Box Storage a call at 800-391-4890. We guarantee the most seamless, painless, and easy delivery and access to your storage of anyone in town! Additionally, we’re also pleased to offer a low price guarantee. Chula Vista is home to over 250,000 residents making it the second largest city in San Diego County. Chula Vista also translates as “beautiful view”. Meaning those 250,000 people live in a really pretty part of San Diego County. Now while all San Diegans are diverse, there is one thing that unites all 250,000 people in the Chula Vista area. They need affordable storage in Chula Vista! That’s right. Chula Vista is also a growing community in terms of size, wealth, and influence. With all the growth, folks need places to keep things as they grow. The great thing about Big Box Storage, is that we come to you! That’s right, if you need storage, give us a call and we will be at your home today with your very own 8’x 5’ x 7’ (LxWxH) storage unit that fits about a room and a half of storage for the low price of only $69 a month. And that price is all inclusive. No hidden fees or taxes. Call today for details 800-391-4890. 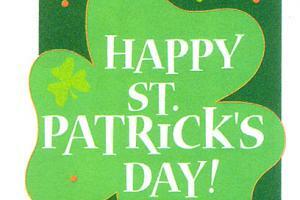 Happy Saint Patrick’s Day from all of us at Big Box Storage! Hope you had your fill of green shakes and beer, as well as corned beef and cabbage. Just a few more weeks until marshmallow peeps, hollow chocolate bunnies, and decorated eggs. Isn’t Spring fun?! Special Bonus: Did you know that corned beef for St. Patrick’s Day arguably finds its roots in America and NOT Ireland? That’s right. The great melting pot that is American tradition also brought us the tradition of eating corned beef on St. Patrick’s Day. Irish immigrants living in New York City lived in close proximity to Jewish immigrants. The method of corning beef or koshering was something widely practiced in Jewish neighborhoods. When Irish immigrants came to the United States and lived among their Jewish neighbors, they were astonished to find the price of meat so much cheaper than in Ireland as well as the fantastic beef their Jewish neighbors were creating. Thus an American/Irish tradition was born. Why do you think people traditionally eat corned beef on toasted rye bread? Food for thought.